Invest in market-leading 8×25 compacted container crane trolley rope and use it to get your container crane trolley back in action when maintenance is required. Undeniably durable and immensely strong, this wire rope is sure to impress. configuration of strands and bundles is capable of meeting the stringent safety standards associated with lifting applications in a marine environment. The 8×25 construction offers a high breaking load in its own right, but the application of a compaction process hardens its resolve further. It is not endowed with non-rotating properties, so is a suitable option for use on a container crane’s trolley assembly, rather than in other lifting applications where twisting might occur. Wire rope of this design can be purchased from us in several diameters, lengths and load capacities. 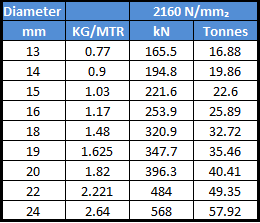 The most narrow of the range measures 13mm across, with a 165.5kN breaking load. The chunkiest is 24mm in diameter and will withstand up to 568kN of force exerted upon it. 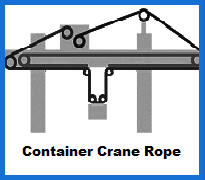 Our container crane rope line-up is one of the most comprehensive you will find anywhere. Various bundle configurations, core options and compaction processes can be chosen on our site. Buying products from Rope Services Direct is a painless process, particularly if you contact our team by calling 01384 78004 or emailing through our site. You can get detailed information, quotes and tips to ensure complete satisfaction when you get in touch today. 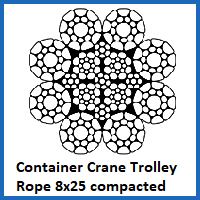 8x25 Compacted Container Crane Trolley Rope Overall rating: 5 out of 5 based on 6 reviews.